If you need a carrot to tempt you to work, there’s a trolley of healthy snacks. Every desk is within seven metres of a window and a flick of your phone modifies temperature and lighting. 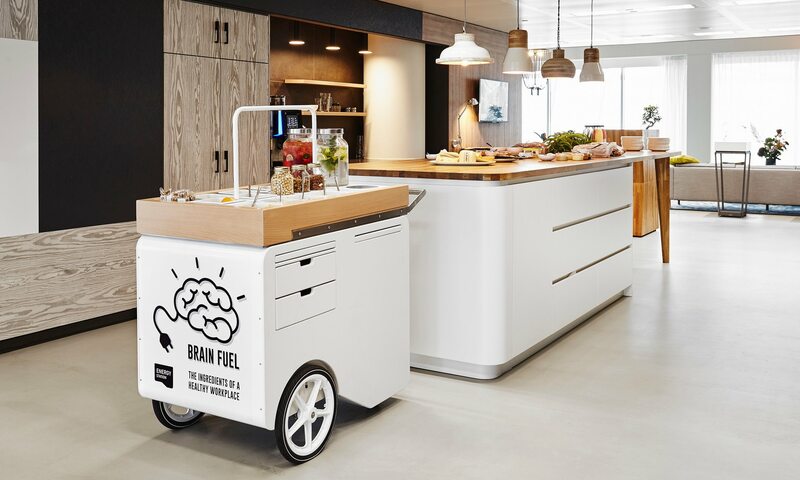 With as many as one in every 17 people suffering from burnout in the Netherlands, a figure that rises to one in six for workers aged 25 to 35, a series of “healing offices” aim to demonstrate how to boost staff health and happiness. The Edge, a tower in the Zuidas business district of Amsterdam, has just won an Urban Land Institute Global Award for Excellence for its green approach, on top of trophies and a 98.36% sustainability score from British environmental agency BREEAM. Inside The Edge, lifts take you up to a precipitous view of the large entrance hall – a design that allows natural light to flood into glass-walled offices. Each office lights up when you step inside, and you can adjust brightness and temperature using an app on your mobile phone, which charges wirelessly when you put it on a desk. The space has more than 15 smart systems and 20,000 sensors to optimise lighting, cleaning and heating. The result is a building that, according to BREEAM, uses 70% less electricity than similar offices – and apparently a happier, healthier workforce too. The consultancy firm Deloitte is The Edge’s largest tenant. Before moving there, the consultancy had seven offices around Amsterdam. “Everyone stepped into the elevator, went into their own room and didn’t see anyone all day,” says Harry Vlaardingerbroek, a senior manager at Deloitte. Deloitte has now consolidated its Amsterdam offices in the Edge. 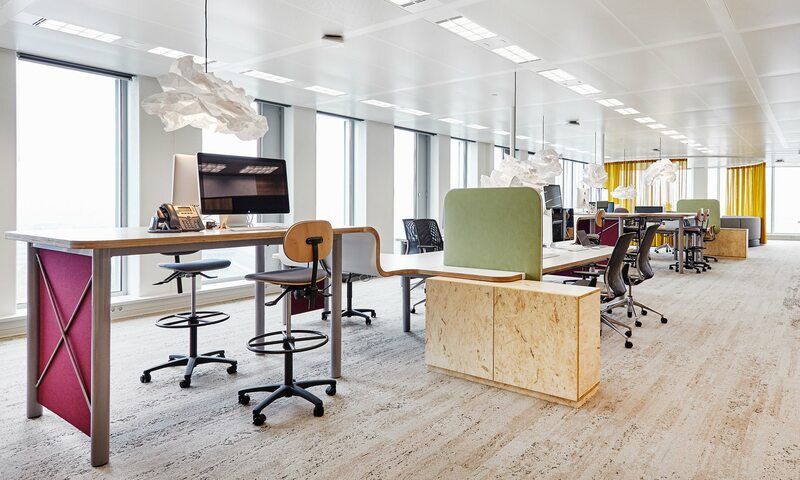 “Now no one has their own desk and we have open floors so you can work with colleagues with better comfort and climate,” Vlaardingerbroek says. The Deloitte PR department is at pains to emphasise it does not “track each person personally”. It says that while health – and company growth – are about more than working environment, the level of staff absenteeism has decreased. While Dutch workers are no more stressed than neighbouring countries, there’s more incentive to act. Employers must pay long-term sick employees 70% of their pay for two years, topped up to the minimum wage by the firm at first, then the government in the second year. Everyone has private medical insurance, and health funds end up taking the strain. The costs of absence and productivity loss are €2.2bn (£2.6bn) each year in the Netherlands, according to insurer Zilveren Kruis. “The main work-related causes are workload, autonomy and social relations. It appears work facilities like offices can have an impact on stress levels, both positive and negative,” the company said in a statement. Amsterdam-based design studio D/DOCK designed the The Edge’s interior to test its “healing office” concept. It has identified 10 indicators – including indoor climate, daylight, physical activity, healthy food, diversity and nature – that it believes, if improved, could reduce sick leave by up to 30%, increase productivity by up to 20% and result in longer life expectancy for employees. 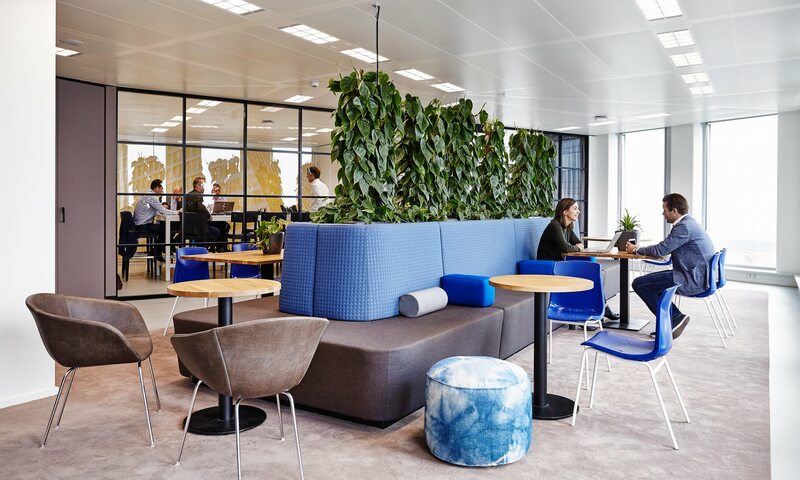 D/DOCK is also designing a new office space for Macaw, the IT company once named the best employer in the Netherlands, which it hopes will increase productivity. However, not everyone is convinced by the idea that new office design really fixes work stress problems. Instead, they argue, policies such as flexible hours, job security and support in dealing with a job’s emotional demands might be more relevant. Improving the physical environment is a relatively easy fix for workplace health but does not have the most impact, says Wilmar Schaufeli, a psychology professor from Utrecht University. “I believe job characteristics are more important than the environment,” he says. Colin Powell, project manager for the World Green Building Council’s Better Places for People campaign, says its recent report on the business case for green building suggests an office that is “more conducive to work” can improve productivity. But, he admits, “it’s hard to pinpoint if that is the dominant factor, or equal to better training”.